Machu Picchu Travel Tips: How and When To Go There? Morocco is famous for its Casablanca. Well, in fact, there are many great places to explore in this country. 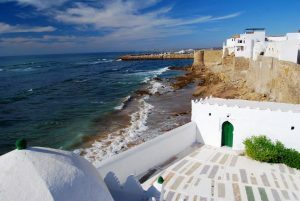 This country has its root of Arabic ancient cultures, and accompanied with its mountains and beaches, Morocco is really the best destination for your next trip. 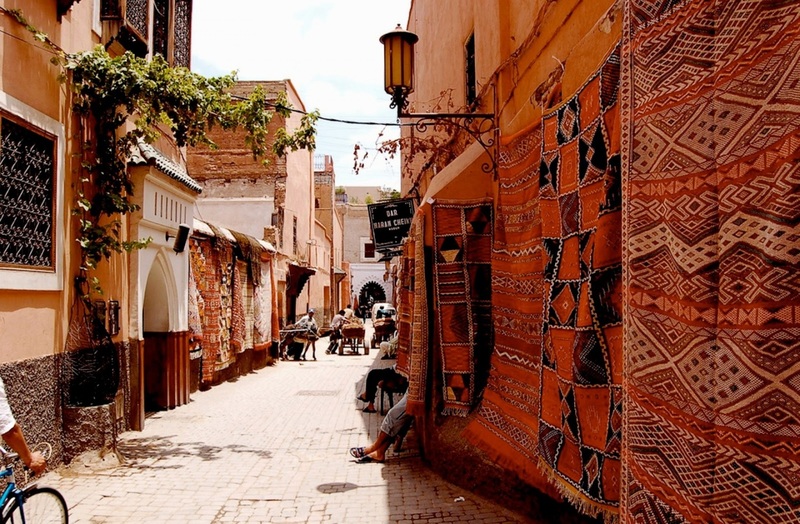 Here are the best places in Morocco that will make your jaw open. 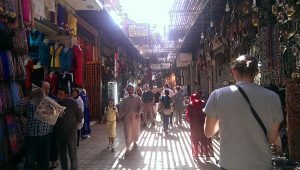 The sandstones buildings are probably the most thrilling part of Marrakech, that makes the city dubbed as the Red City. Known as the ‘hippie mecca’ in 1960s, Marrakech has been the favorite of many celebrities, including Rolling Stones and the Beatles. This is the best place to visit if you want to know the real life of the Arabian of Africa. If you visit the southern part of Morocco, you must visit Merzouga, a small village not too far from the border from Algeria. 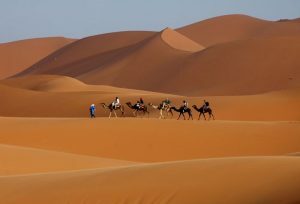 The attractions here include Erg Chebbi, which are 150-meter sand dunes created by winds. You can also take camel ride through the dunes and end up setting Berber tents at night, enjoying the magic of the thousand stars above. 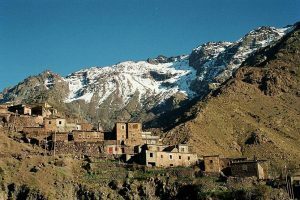 High Atlas is a mountain range, which includes Toubkal National Park, containing Morocco’s highest peak. In the eastern part of High Atlas, you can visit Todra Gorge which offers you with gorgeous mountainous view. You can also visit a traditional Mud Brick city on the edge of High Atlas that has been captured in movies like Gladiator and Lawrence of Arabia. 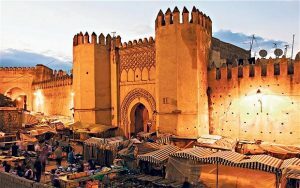 Used to be the capital of Morocco, Fes still remains its two old medinas. Here also lies one of the world’s oldest universities, University of Al-Karaouine. You can enjoy walking through the narrow streets full of house traditional houses and courtyards with mosaic tiles ornament. Though there are some several places limited to Muslim, you can still enjoy the magnificent exteriors. This can be said the pirates base. Yes, in the 19th and 20th centuries, pirates use Asilah as the base of operation. Visiting on spring or fall will get you out of the tourist-crowded situation. The beautiful scene of the surrounding is made perfect with the astounding whitewashed buildings. If you think of a great vacation in a gorgeous tropical island, one of some islands that come in your mind must be Maldives. 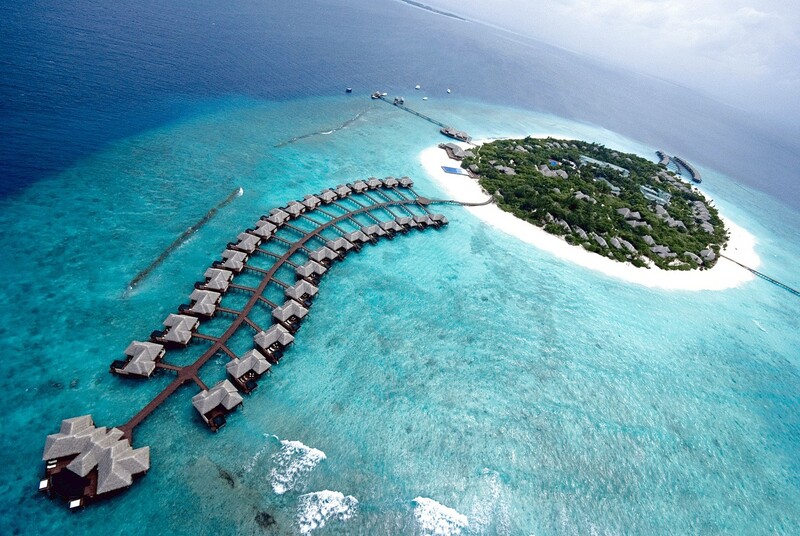 Maldives is a sovereign island country in Indian Ocean. It is located southwest of India and Sri Lanka in the Laccadive Sea. Here are the things that you can do while you are traveling to Maldives. Alimantha is uninhabited island which is operated as a resort. This island is located on the mid-northern rim of Felidhuli Atoll, Maldives. This is one of the best and most beautiful diving spot in Maldives. 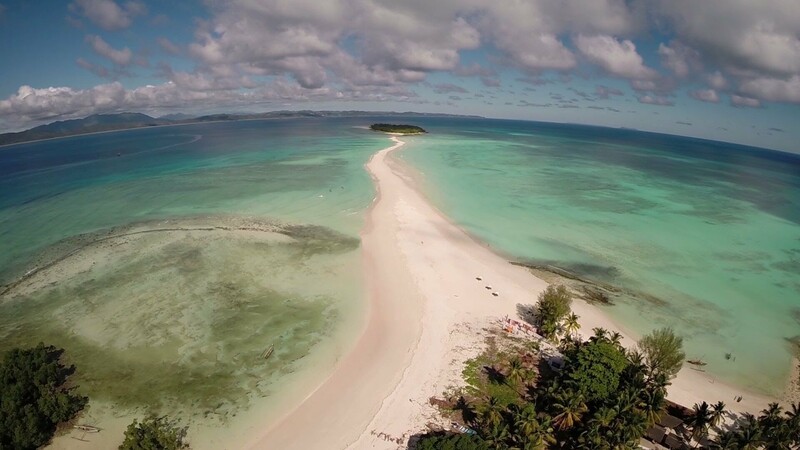 Beside diving, you can also do other things here, including canoeing, surfing, cat sailing, or just sitting and enjoying the beautiful view of the surrounding. If you travel with your kids, this place can be great for your kids because the water is shallow. Veligandhu is also another uninhabited island in Maldives. Different with Alimantha, this place is not really suitable for kids. But if you want to spend the days with your loved one, this is really the best place for you. The beach is very huge and even on high season, the resort is not crowded. You can snorkel and enjoy the warm water. The beach is very clean and calm, and you can see some little crabs there. This is also a good place for diving. Like another beach in Maldives, Sun Island is also beautiful and clean. You can enjoy the wildlife of the surrounding or snorkeling at the beach. You can walk or bike around the island too. If you want to spend a romantic day or night with your spouse, this is the best answer. Hukuru Miskiiy is an old mosque, the oldest one in the country. This is part of the history of Male. The mosque was built with crushed corals and the design on the wall is beautifully hand-carved. And even if you are Non-Muslim, you can still visit this place too, but with certain permissions. Cameras are allowed inside this museum, yes. And if you really love history, you can learn a lot about Male history in this place. Another island to visit? Maybe Madagascar? One thing to note about going to Machu Picchu is that it is not cheap and the logistics can be even trickier that you ever expected. And if you want to go to these iconic Incan ruins, you must follow this Machu Picchu travel tips below. What is The Right Time to Go to Machu Picchu? Machu Picchu is open all year, but in some times, the crowds will be just too much or the weather is just too dry. Officially, October to April is the rain season but it can rain anytime at Machu Picchu. And like many other places, it also has the peak season, which is on July to August. And on this season, the visitors will be abundant. You can hike the Inca Trail and it will take several days. You can do that of course if you have abundant time. If you decide to hike, it is recommended that you walk through the Sun Gat of Machu Picchu at sunrise to get the spiritual experience. Another way is taking the train which takes 3-5 hours from Cusco to Aguas Calientes. While on the train, you will be lucky to see the view of Urubamba River with canyon walls on either side. The station is actually located in Poroy, the town near to Cusco. From your hotel, it might take 20 minutes with taxi. And don’t worry, the taxi is quite affordable. There are several trains available: Expedition, Vistadome, and the Hiram Bingham. Expedition seats are next to the window but some seats are abutted with the window divider. The Vistadome is more comfortable while the Hiram Bingham is the luxury option. To avoid running out of tickets, you can book some weeks in advance (or more) on the Perurail site. If the ticket form Cusco is sold out, you can depart from Ollantaytambo town or that stops there when you get back. To get there from Cusco, you can take taxi. There are many affordable hotels in ‘downtown’ Aguas Calientes. If you want something of more luxury, there are also abundant to choose. It’s just that you have to choose based on your budget and preference. Spending your night at Machu Picchu gates is also possible in order to be the first ones in and the last ones out, without having to wait for the bus lines. And this is, of course, not cheap. There you will find several decent restaurants by walking down at Av. Pachacutec. – You can take bus from Aguas Calientes to the citadel with buses, and it will take you minutes. But the lines of the bus can be pretty depressing. Walking is an option is you’re okay with a 90-minute time spent. – You can buy tickets in http://www.machupicchu.gob.pe/ if you travel independently. If you plan to hike Huayna Picchu, you will need a separate ticket and the number of tickets is limited so you need to book in advance. – Bring some coins for bathrooms and small stuff. – Bring passport anytime because it is needed when you need to get out of the gate for food, for instance. Still in America, maybe you also want to visit Jamaica or Cuba? When hearing the word Madagascar, what comes in your mind? It must be the famous American computer-animated comedy movie, with Alex, Marty, Melman, and Gloria as the main characters. Madagascar is an island country in the Indian Ocean, and part of Southeast Africa. If you want to see unique plants and animals you can’t find anywhere else, along with the tradition, social manners, and architecture, Madagascar must be on your first must-visit list. 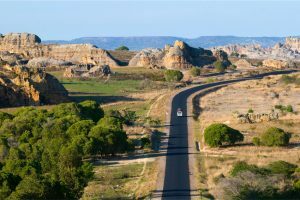 Here are the best attractions in Madagascar that you must visit. 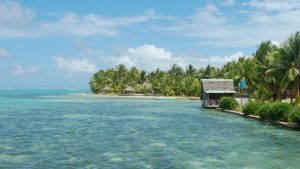 Located on the east cost of Madagascar, Ile Sainte Marie presents us the beautiful protected bays and inlets. The wrecks of pirates’ ships of the 17th-18th century can still be viewed from Baie des Forbans’ shallow water. This clear water is also the best place for snorkeling. And if you visit during summer and early fall, chances are high that you can see the migrating humpback whales. This national park is located in the central southern region of Madagascar. The varied terrains of this national park include grassland, sandstone formations, steep canyons, and occasional pools lined by palm trees. To visit this place, you will require a guide. 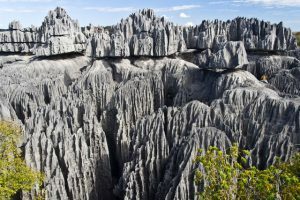 Still in the southern region of Madagascar, Tsingy de Bemaraha is actually pinnacles that dot the park’s limestone plateau. This park consists of a huge mangrove forest and is a home of 7 species of lemur. Nosy Be is a small island of Madagascar, visited by thousands of tourists throughout the year. 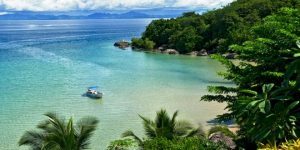 If compared to other tropical beaches, Nosy Be is not that amazing but it still offers you clear turquoise water with restaurants serving delish seafood dinner on the sand. Located in western of Madagascar, Avenue of the Baobabs are trees lining the dirt road between Belon’i Tsiribihina and Morondava. Many people visits this place because they consider this landscape amazing. 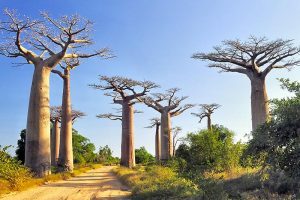 At first, the 800-year-old Baobab trees did not live in isolation as it was once surrounded by a dense tropical forest. The agriculture progress finally leaves only the Baobab trees. Ifaty is a coral reef of 60 miles length, located in two dusty fishing villages, on the Madagascar’s southwest coast. It also has strange-shaped baobab trees, inside a spiny forest. 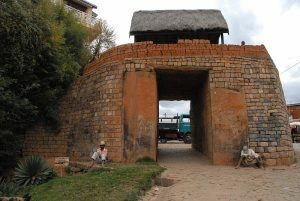 Royal Hill of Ambohimanga was once home of Madagascar royalty. The surrounding walls were made in 1847, constructed with a mortar made of egg whites and lime. In this place, we can also see the artifacts of the island’s great kings, which include talismans, weapons, and drums. Still in Africa, maybe you also want to visit Kenya? 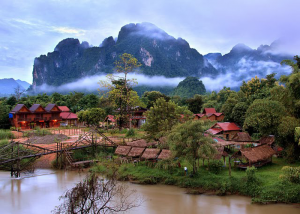 One of the countries in South East Asia that you must visit is Laos. 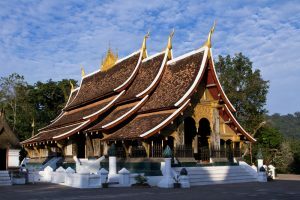 Since this mountainous country has long been isolated from the outside world, visiting Laos will bring you to the (feeling of the) past. 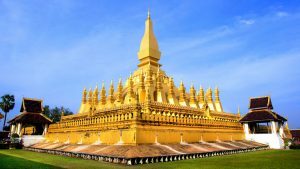 Here are some of the best attractions you must explore on your visit to Laos. 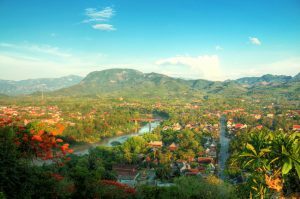 Luang Prabang is the royal capital of Laos and one of the most beautiful cities in South East Asia. The main part of this city is located between two rivers, Mekong and Nam Khan. The architectural buildings can be found scattered in this city, including the French provincial buildings, the temples with golden roofs, and wooden houses. Near the Luang Prabang, Mekong River has the approximate length of 4,350 km (2,703 miles). 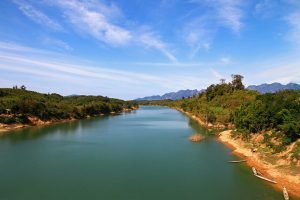 Since Laos is mountainous and has only few good roads, the river becomes the main transportation. The most amazing part is the upper part of this river. You can take a boat trip from Huay Xai at the border with northern Thailand to Luang Prabang, or vice versa. This riverside town can be reached four hours by bus from the capital. There are many cafes, restaurants, tourist agencies, and tourists on the surrounding areas. The karst hill landscape is the main attraction of this town. You can simply floating along the Nam Song river while you’re in Vang Vieng. Si Phan Don is a set of beautiful islands against the Mekong River. 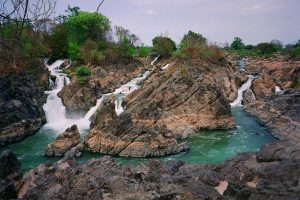 There is Khone Falls, with small population of Irrawaddy Dolphins that are now endangered. Three islands that tourists can visit are Done Kong, Don Khon, and Don Det which provide us with some lodgings to stay. You can also rent kayaks and bikes to spend time there. There are many jars with unknown origins scattered on a large area in a town named Phonsavan. 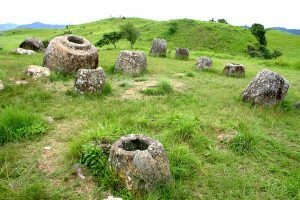 This area is now called Plain of Jars. Hewn out of rocks, the height of the jars varies from 1 to 3 meters. Based on a research, this place is associated with prehistoric burial practices. Wat Xieng Tong is most amazing temple in Luang Prabang, located in the peninsula formed by Nam Khan and Mekong rivers. 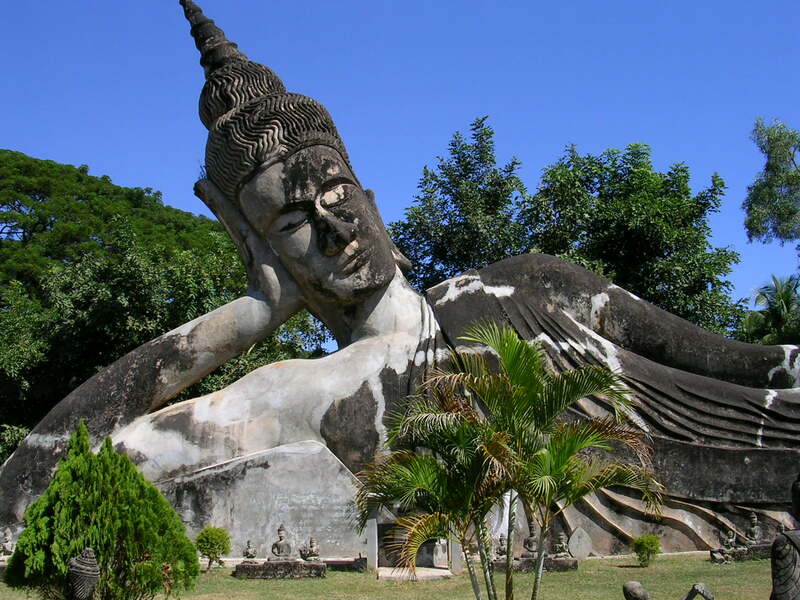 Built in 1560, this temple contains a rare reclining Buddha dated the same with the construction. This is a monument with some stupa, indicating the steps of Buddhist enlightenment, with the lowest part representing the material world and the highest part representing the nothingness. Built in 16th century, the monument was once smashed in 1828 by a Siamese invasion but reconstructed by the French in 1931. Still in South East Asia, maybe you also want to visit Malaysia? When visiting England, you must come to London too. Why? Because this city is a leading global city of culture, fashion, finance, politics and trade. 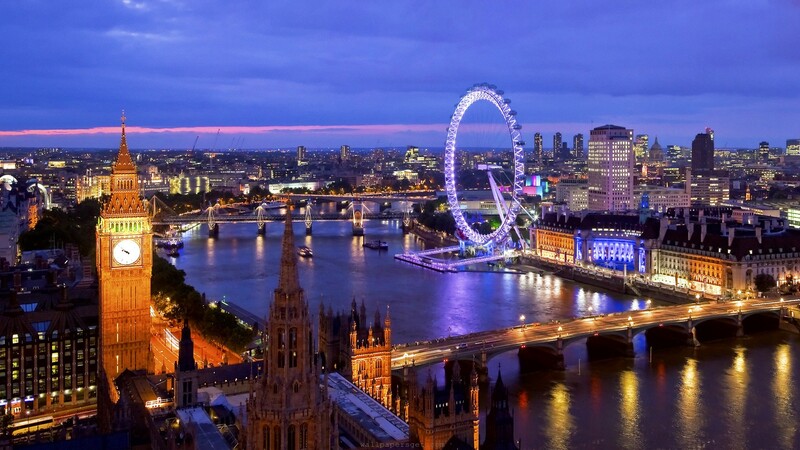 London is also most visited city for its tourism. 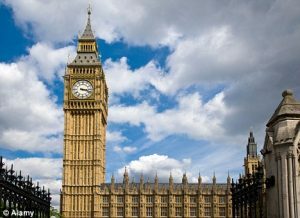 Wanna know what are the top attractions in London? Check this out. Ben Ben Tower was constructed in 1958. The name actually does not refer to the clock tower. It refers to the 13-ton bell housed inside the tower, which is named after the man who ordered the bell, Sir Benjamin Hall. This clock tower has become one of the most visited destination in London. Crossing over the River Thames, Tower Bridge is actually a combination of bascule and suspension bridge. Since it is near with the Tower of London, the bridge was then named Tower Bridge. The bridge was established in 1886 and took 8 years to complete. The two towers connected together to withstand the forces of the suspended sections of the bridge become the trademark of this bridge. The museum built in 1753 houses 7 million objects of collections of human history and culture. 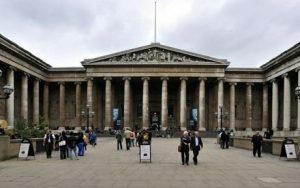 British Museum is one of largest and most comprehensive museum in the world, illustrating and documenting human culture story from the beginning until now. You can find mummies of Egypt or Rosetta Stone, too here. Although owned by the British State, Buckingham Palace is the main residence of Queen Elizabeth II. 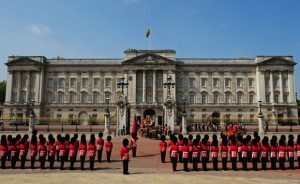 Forecourt of Buckingham Palace is one of the most visited places in London and England. You can even visit the palace’s state room during August and September. London Eye is an observation wheel with the height of 135 meters, carrying 32 exterior glass-walled capsules. 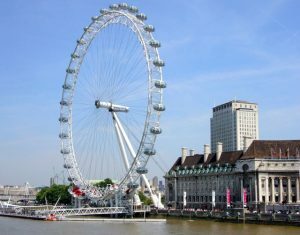 This wheel is located on the banks of the River Thames. There are more than 3.5 million people visiting this paid tourist attraction every year. 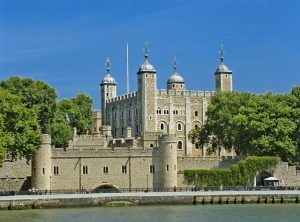 Built in 1078 by William the Conqueror, Tower of London is now the house of the British Crown Jewels. It is quite shocking to know that this tower was used as prison from 1100 to the mid twentieth century. Some of the famous prisoners, include Catherine Howard (wives of King Henry VIII), Rudolph Hess, King Henry VI, Sir Thomas More, and Anne Boleyn. 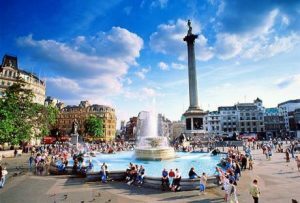 Trafalgar Square was built to commemorate the victory of Lord Horatio Nelson against the navy of Napoleon at the Battle of Trafalgar in 1805. There is Nelson statue on a single tall column at the central of the square. His monument is surrounded by four colossal lions and a series of large fountains. Still in Europe, maybe you also want to visit other cities in Europe? 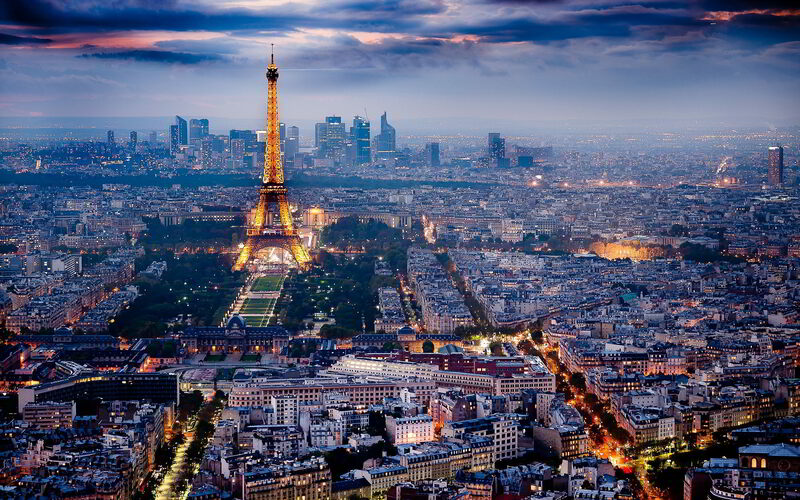 When visiting France, Paris is the place that you must visit and explore. Paris is one of the most romantic city in the planet and it will be best if you’re here with your loved one(s). Museums, monuments, and other buildings are scattered in some points in Paris and all are amazing. So, here are the best attractions in Paris that you must visit. Palace of Versailles or also known as Château de Versailles is one of the largest and most opulent castles in the world. The Grand apartments used the apartment placements influenced by 16th- and 17th-century Italian palace design while the chapel represents one of the finest examples of French Baroque architecture and ecclesiastical decoration. In this palace, you can also visit Museum of the History of France, Gardens of Versailles, and many other attractions. 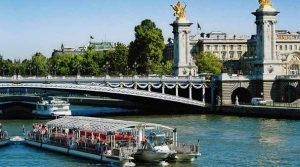 If you want to enjoy Paris from the River Seine, taking this Bateaux Parisiens River Cruise will be a great choice. Tours depart every 30 minutes between April-September, and every hour October- March and tours last for 60 minutes. 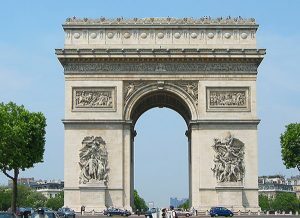 The Arc De Triomphe is one of the most famous monuments in Paris. This monument was built to commemorate those who died in French Revolutionary and the Napoleonic War. On the Arc’s pillars, there are 4 main sculptural designs, which commemorate war or celebrate the victory of Napoleon. 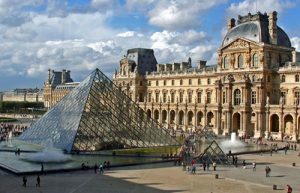 The Louvre Museum is one of the largest museums in the world. Located at the right bank of the Seine, this museum becomes the landmark of the city. There are about 35,000 objects from prehistory to the 21st century you can see in this museum. One of the most famous collections is Leonardo da Vinci’s Mona Lisa. Besides, the Grand Louvre Pyramids is another thing that attracts tourists to come here. 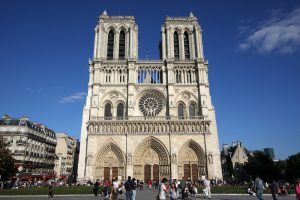 Cathedral of Notre Dame is a historic Catholic cathedral and is considered finest examples of French Gothic architecture. If you have Paris Pass, you can visit the top of the Towers of Notre Dame for free. Do you like wine? Wanna taste some? 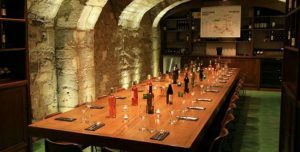 You can book tasting of the best wines in France here. While Louvre is on the right bank of the Seine, this museum is on the left bank. 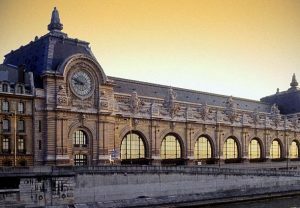 It is housed in the former Gare d’Orsay, a Beaux-Arts railway station built between 1898 and 1900. If you love arts and paintings, you must come here because here you can find the collections of Monet, Manet, Degas, Renoir, Cézanne, Seurat, Sisley, Gauguin and Van Gogh. Still in Europe, read this article for travel budget tips in Europe. Besides being the home country of Christiano Ronaldo, what else you know about Portugal? Well, for you who love traveling, this city is a city who has it all. It has beaches, it has cliffs, and it has buildings. Though not as quiet as it was before, you can escape your hectic life for a bit just by visiting Portugal. 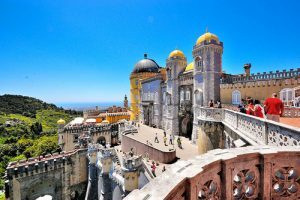 And when you’re in there, here are the best attractions in Portugal recommended for you. Wanna know the traditional city life of Lisbon? Come to Baixa to also shop at the oldest traditional shop there. The earthquake in 1755 had destroyed the city but king’s prime minister, the Marquês de Pombal reconstructed it. 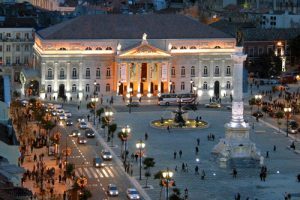 At this city, you can enjoy the uniform and perpendicular architecture for the city center. Algarve is famous for its beautiful beaches and villages. 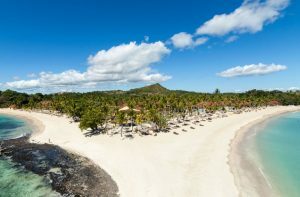 The beaches offer you with sand, sun, and sea while the villages offer its charming neighborhood. The best thing about Algarve is its temperate climate with an average of 3,000 hours of sunlight per year with very little rainfall. If you wanna enjoy the remains of Roman time, Lagos and Sagres are the best places to go to. There is also fortress built in 15th century named Fortaleza de Sagres which is believed to be the “School of Navigation” of Prince Henry. Porto is wine. If you love wine, you must come here. 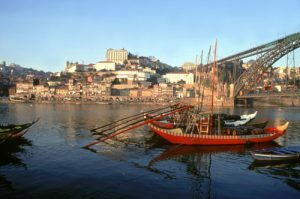 Porto has also been part of UNESCO World Heritage for its architectural heritage especially along the Douro River. 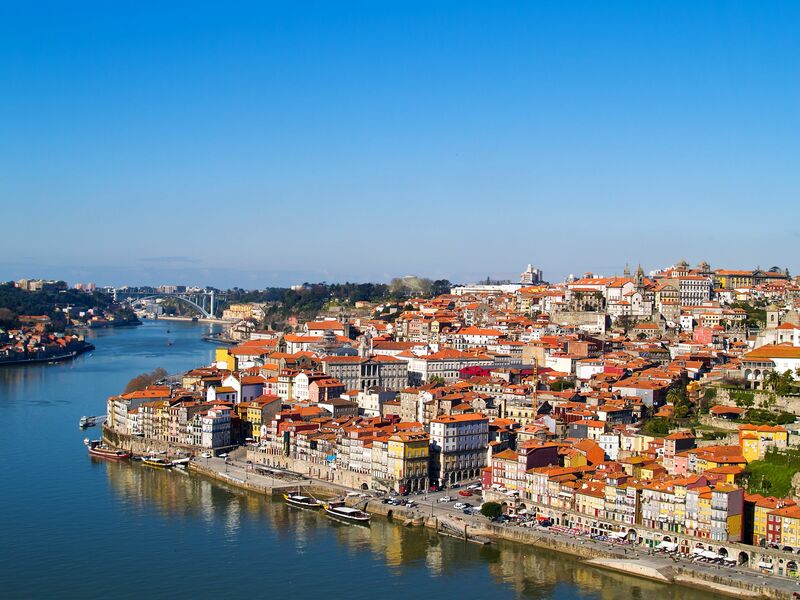 The best part to spend your time or take a picture is the Cais da Ribeira riverfront. You must go through its streets and alleys to see each of the old-centuries buildings. Cais da Ribeira has also been UNESCO World Heritage Site. Funchal tries to preserve all that the past has given them. It has museums, churches, and yes, wine. If you love walking, this place is also the best for you to enjoy the nice harbors and more-than-500-years cathedral. Entertainments can be found anywhere: casinos, restaurants, nightclubs, hotels. 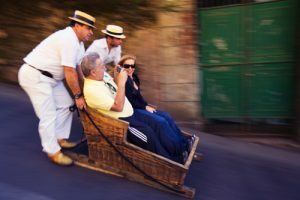 And for those who want some adrenalin, Funchal has what is called toboggan rides, high speed sledding on narrow, winding street down to Funchal. Romantic revivalism can be seen in Palácio da Pena in Sitra. It belongs to the old monastery of the Order of St. Jerome. The palace was built in the mixture of some architectural styles, one of which is English for the beautiful woodland park. On the wings of the palace, there have been built two restaurants where you can order food and enjoy the view of the gorgeous Sitra’s coast. 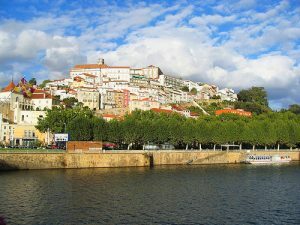 Once the capital of Portugal, Coimbra has Univesrity of Coimbra which is one of the oldest university in Europe. Built in 1290, the University has the view over River Mondego. You can go into the University from the gate, Porto Férrea, which in amazing Mannerist work. Besides that, Coimbra offers you with medieval feeling with its medieval streets and churches. Yes, it will be romantic to enjoy Coimbra with your loved ones. 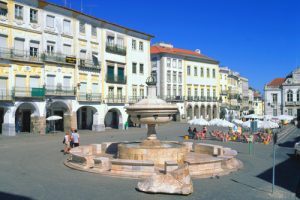 Evora is more than 2,000 year old and it has all the historic buildings, including Renaissance fountains, labyrinthine streets, Gothic doorways, Moorish Courtyard, and turrets. It also offers Roman temple, battlements, and baths. This city has also been classified World Heritage by UNESCO. But, not only history, it also offers you natural landscape of the mountain which is side by side with its cultural landscape. Still in Europe, maybe you also want to visit other countries in Europe? Kenya is one the most beautiful places in the world. It has a lot to offer you that once you’re there you will feel like you never want to go home, including the dessert, lakes, savanna, but it still has the metropolis life in Nairobi. And as one of the countries in Africa, it has many neighboring countries that also offer many places to explore. Okay, let’s talk about Kenya for this moment. 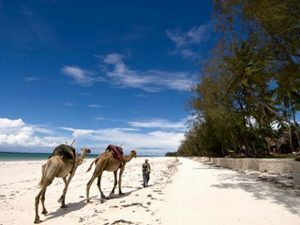 And here are the best places in Kenya that you must visit and explore. Do you ever think that when enjoying the view of a coast, and then suddenly there’s a camel passing in front of you? Yes, it can happen in the coast of Kenya. This coast presents you with crystal blue water and clear blue sky complete with the waving palms. 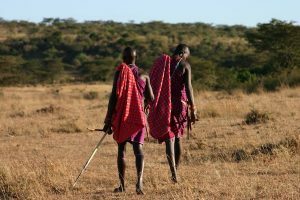 If you travel in Kenya, don’t forget to visit Mara because it has many local tribes. One nomadic tribe is Masai which can be identified with bright clothing, bright red blanket, and jewellery. Sometimes, you can have a visit inside their homes to get the real feel of what their life is actually like. Located in northern part of Kenya, Samburu offers Buffalo Spring and Shaba National Reserves. In here, you can see many endangered species in their natural glory. 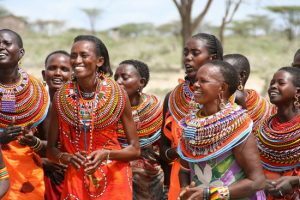 You can also have a visit to the homes of Samburu people. Like Masai, they also like wearing bright colors. 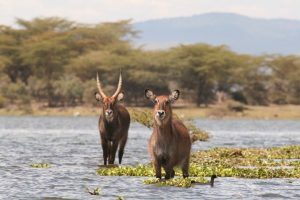 If you ever wonder how it feels to be like in the wildlife, go to Lake Naivasha. Like in TVs, you can meet up close with large animals like rhinoceros, lion, leopard, and many more. Amboseli is all about beautiful grassland and rainforest. Yes, you can enjoy diverse terrains, including swampy, dessert, and forest. And you can also enjoy the amazing sunset here. Lamu is a small town in Lamu Island. You can many kinds of historical buildings here. 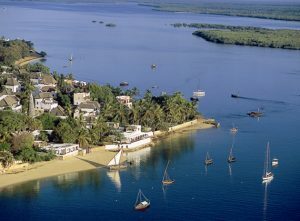 Lamu is also Kenya’s oldest continually inhabited town. This was the original settlement of Swahili in 1370. 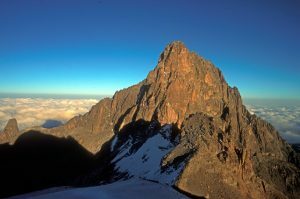 The second largest mountain in Africa, Mount Kenya is belived to be climbed by only a few people. Do you want to be one of them? 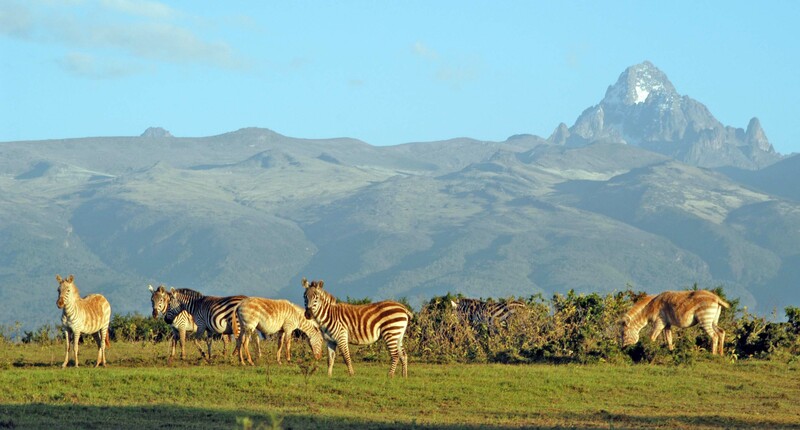 But, once you’re there you can enjoy the magical scenery of Kenya as a whole. 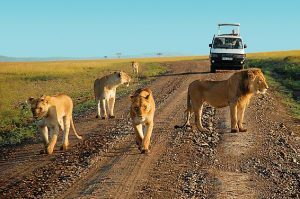 Located close to the coast, Tsavo is great for safari. 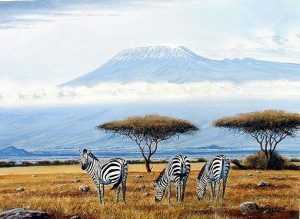 The landscapes are also the most diverse in Africa,. You can enjoy and explore the wildlife here as free as you can. Maybe you can say hello to the beautiful wild animals too. Still in Africa, maybe you also want to visit Egypt? 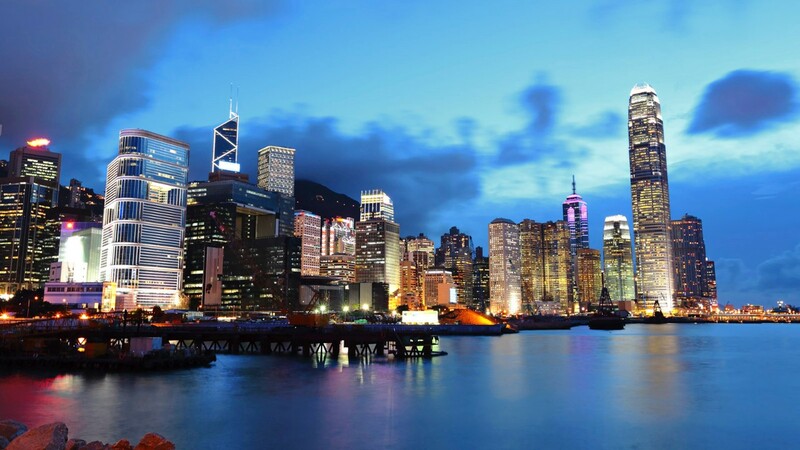 Are you planning to visit Hong Kong? Many people believe that this city is the centre of business and economy, with its hectic live. But there are actually some places that worth visiting for you who need vacations. Here are the best 7 places in Hong Kong recommended for you. The clock tower was built in 1915 with the height of 44 meters. As one of Hong Kong’s colonial heritages, this tower was part of Kowloon-Canton railway terminus. The tower that has been preserved as Declared Monument keeps the memories of the Age of Steam. 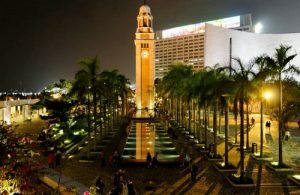 This tower also becomes a memorable landmark for the Chinese immigrants that moved to live in Hong Kong and also other parts of the world via the harbor of the city. 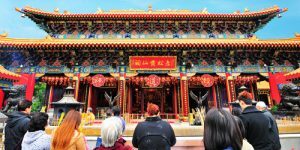 Many people, especially those of the Three Teachings (Buddhism, Taoism, and Confucianism) believe that this temple can make every wish you request come true. Even for you who don’t have any religious purposes, this temple offers beautiful architecture and the gorgeous scenic view of the surrounding. 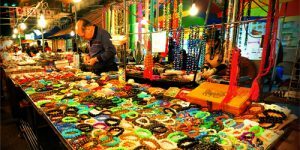 Temple Street Night Market is a popular street bazaar in Hong Kong in which you can enjoy the most of the local atmosphere. All you can find here, including food, souvenirs, and even opera singers and fortune tellers. 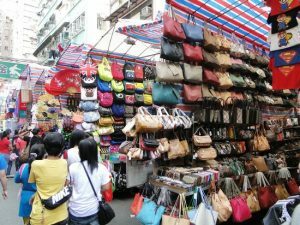 Ladies’ Market is located on Tung Choi Street. This market has more than 100 stalls of bargain clothing, accessories, and souvenirs, most of which are for women of all ages. However, this market also sells home furnishing, watches, CDs, trinkets, and many more. 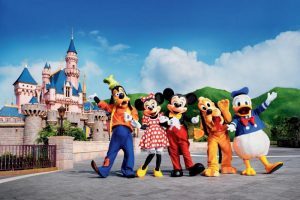 Hong Kong also has its Disneyland which will bring you to a magical journey in 7 lands with 7 themes from day to night. At night, the lights in the entire park will bring a magical moment you cannot forget. All the attractions are worth trying and who says this is only for children? The Peak is the highest point on Hong Kong Island. 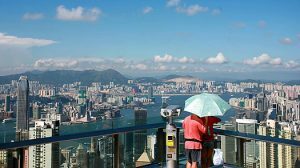 From this point, you can enjoy the surrounding view of Hong Kong, which makes in one of the best tourist attractions in Hong Kong. The rich and famous love this place due to its cooler air. From this point, you can also enjoy how to day moves into night with its nice exchange of lights and colors. Hong Kong gets its popularity from its movie industry. Not only in Asia, Hong Kong actors and actresses also have got their name to all over the world. The Avenue of Stars is made to appreciate all those names who have made Hong Kong “Hollywood of the East”. 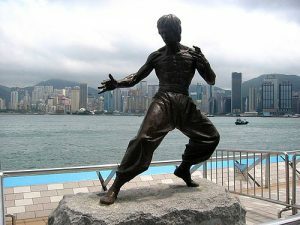 We can find anything related to movie and the actors, including movie memorabilia, handprints, and life-size statue of Bruce Lee. Other than just Hong Kong, maybe you also want to visit China as a whole?